06.30 – 08.30 : Pick up from Hotel to Serangan port. 08.30 – 09.15 : Depart from Serangan port to Ceningan Island. 13.30 – 15.30 : Relax on the seaside, continuation of water activities canoe and banana boat ride. Prepare for trip back. 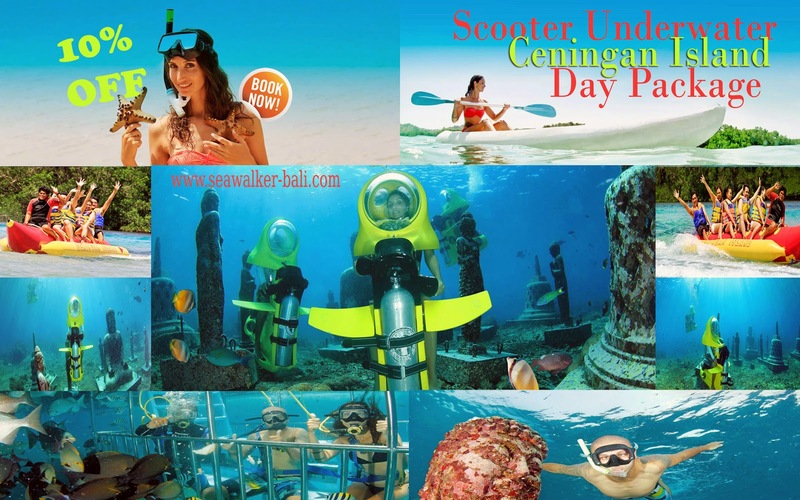 15.30 – 16.30 : Depart from Ceningan Island to Serangan port. • Free return transport around Nusa Dua, Jimbaran, Kuta, Seminyak, Denpasar and Sanur.